Get the hair you've been looking for! Find the style you've always wanted! Unwind with a massage in our spa! The Ultima Hair Designers welcome you to our salon and spa business. The art of creating beautiful, healthy hair, nails, skin and body wellness is our love and profession. Passing along our knowledge and creativity is what our team does best. Each team member has been educated to reach their goals and to bring you quality of services. The Ultima is proud to announce that our salon has been awarded “Redken 5th Avenue Elite Salon” status. 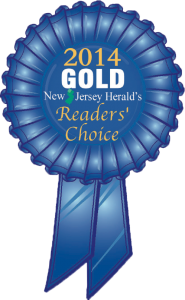 Our spa was awarded the 2008-2016 Readers Choice Award from the New Jersey Herald. ALL consultations are FREE. Ultima wanted to reward our clients to show how much we appreciate them. Loyalty members earn points for every purchase of retail or service. Even when you rebook your appointment. Points add up fast. Ask your service provider your opportunities to use your points today.